Oakland Raiders 2019 Free Agents On Defense is presented by Chat Sports. 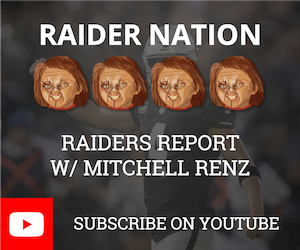 Today host Mitchell Renz breaks down the Oakland Raiders 2019 Free Agents on defense. The Oakland Raiders have 17 players who will be free agents in 2019, which players will the Raiders re-sign? The players Mitchell focuses on are Marcus Gilchrist, Reggie Nelson, Erik Harris, Johnathan Hankins, Frostee Rucker, Rashaan Melvin, and Daryl Worley. There are plenty of Raiders' free agency rumors around who the Raiders will re-sign and let walk. Crave more Raiders Free Agency Videos? Don't worry Raider Nation we got you covered! Watch every free agency video on our Oakland Raiders' YouTube Playlist - Raiders 2019 Free Agency!